IMT’s unique positioning, at the crossroads between industry and digital technology, allows us to anticipate the transformation of both processes and organizations using the required digital tools. IMT conducts cutting-edge research focusing on major issues facing the Industry of the Future: additive manufacturing, predictive maintenance, big data management, new industry materials, energy efficiency and human-machine co-evolution. 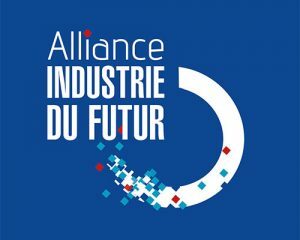 The Alliance for Industry of the Future aims to make France a leader in the new generation of global industry, allowing it to play a central role in new industrial systems. Our goal is to ensure that all companies, especially SMEs, can benefit from operational support in order to make their production tools and overall organizations more efficient. As part of the partnership between the French Alliance for Industry of the Future and the German platform Industrie 4.0, IMT and Technische Universität München (TUM) created the German-French Academy for the Industry of the Future on 27 October 2015. This virtual academy aims to develop complementary expertise in German-French research and education in topics relating to the industry of the future, by building on the Alliance for Industry of the Future (France) and Platform Industrie 4.0 (Germany) networks. In the long term, it will form a bilateral network of excellence with a European scope and will interact with industry. The Horizon 2020 program aims to strengthen the scientific and technological bases. 79 billion euros over the period 2014 – 2020, the Horizon 2020 program supports research and innovation projects. These projects are to strengthen the links of our laboratories with our European industrial partners (SMEs, ETI and large groups) and academic partners (universities, research centers). The goal of these projects is to advance the state of the art of science and technology in our respective fields. They are also available in France and Europe. Grouping of skills at the service of rapid product development: additive manufacturing (FA), subtractive manufacturing (FS), FA + FS hybridization: research, R&D, transfer, industrialization and training. Dedicated to the integrated chain Composite materials and plastic processing: design, development / manufacturing, control and recycling. Collective Work, Enterprise of the Future – The Challenges of Digital Transformation brings together nearly 15 IMT researchers to question the implications of this major transition. In 40 pages, it takes stock of the research carried out on the subject around three key moments: the levers, the impacts, the stakes of the research. Then he puts the published works in a historical and systemic perspective. In the end, it is the very notion of the company and its future that is treated. The OQUAIDO Chair – Optimisation et QUAntification d’Incertitudes pour les Données Onéreuses in French– is the chair in applied mathematics held at Mines Saint-Étienne (France). 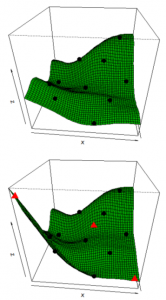 It aims at gathering academical and technological partners to work on problems involving costly-to-evaluate numerical simulators for uncertainty quantification, optimization and inverse problems. This Chair, created in January 2016, is the continuation of the projects DICE and ReDICE which respectively covered the periods 2006-2009 and 2011-2015.